A new Bible released by Thomas Nelson Publishers has many voicing their opposition. 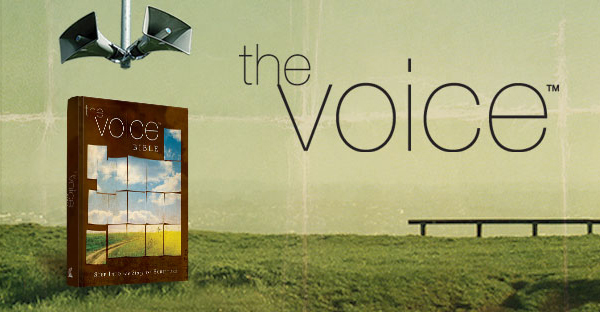 The Voice was written in part by the Ecclesia Bible Society, which is led by emergent “Pastor” Chris Seay of Houston, Texas. It is said to assist readers to better understand Scripture and to provide more of an experience with the Bible, rather than a theological education. Emergent writer and speaker Brian McLaren participated in the project as well, namely the writing of the book of Luke. Recently, one of the participants in the project, Professor David Capes of Houston Baptist University, was questioned on CNN about why writers decided to remove the word “Christ” from the text. “Unfortunately, not since the release of the Jehovah’s Witnesses’ New World Translation of the Greek Scriptures in 1950 has there been a Bible published that so blatantly mangles and distorts God’s word in order to support a peculiar and aberrant theological agenda,” Rosebrough opined. However, those behind The Voice state that the publication was not meant to be a word-for-word transliteration of Scripture, but rather a paraphrased translation that can help readers better connect with its meaning. “It is the Good Book that reads like a good book,” it added.